What is the origin of the Basin Villages Forum? In June 1976 there were two Progress Associations existing in the Basin area; one for Sanctuary Point, and of course, one for St. Georges Basin. The President of Sanctuary Point Progress Assoc was Ida Stender, and their Secretary was Marina Bradley. Attendance at the monthly meetings of both groups was often down to 10 - 12 people. Some time in the early/mid 1980s, a number of residents dissatisfied with the numbers attending the meetings arranged a public meeting, to be held at the St Georges Basin Country Club. The meeting packed the hall full with over 200 people. George Pawson (Sussex Inlet), Alan Forrester, David Carson, and Veronica Husted were the main people who organised this meeting. On stage were Mr Ted Mack M.P. & Mayor of North Sydney (which had recently installed a Precinct): John Hatton M.P. South Coast, Greg Watson, and several other dignitories. The Committee held meetings at various private homes to discuss agendas etc. 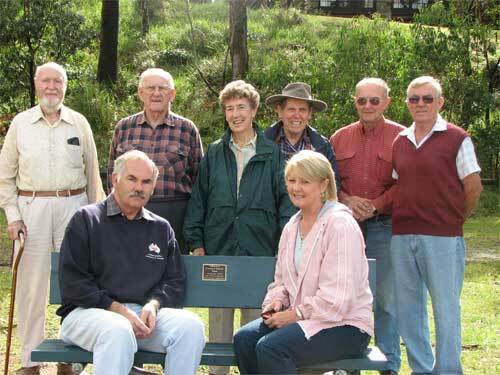 Former members of the Basin Village Forum committee. Left end standing - long-serving President - the late Mr Ray Brooks, OA. Up until 2007 Ray had been the long-term President of what was then the St Georges Basin Forum (now our Basin Villages Forum). He Chaired our meetings for many years with great fairness & skill, and in fact was a founding member of the original group that eventually became our current Forum. You can read more information on Ray & his contribution on the “BVF History” page of this website. In 2003, Ray was awarded an Order of Australia for his decades of contribution to many community groups. Norma had been an active member of many community groups until recent years when failing health required her to retire. For many years she played a vital role assisting with the administration of our Forum, then called the St Georges Basin Forum. 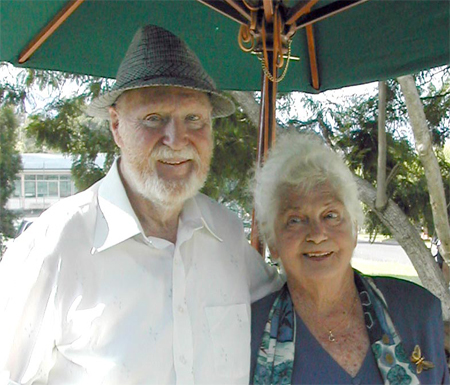 A significant couple, to whom this community owes much gratitude.